Photo courtesy of Melissa Stuart. 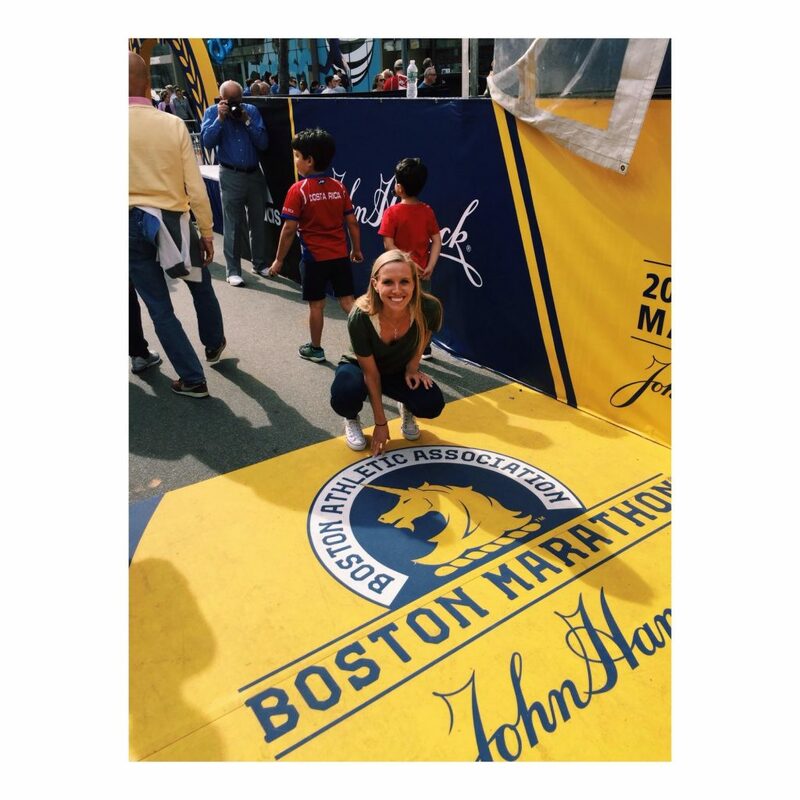 BOSTON – For one 20-year-old Boston University student from Albany, New York, running the marathon means she can do anything. 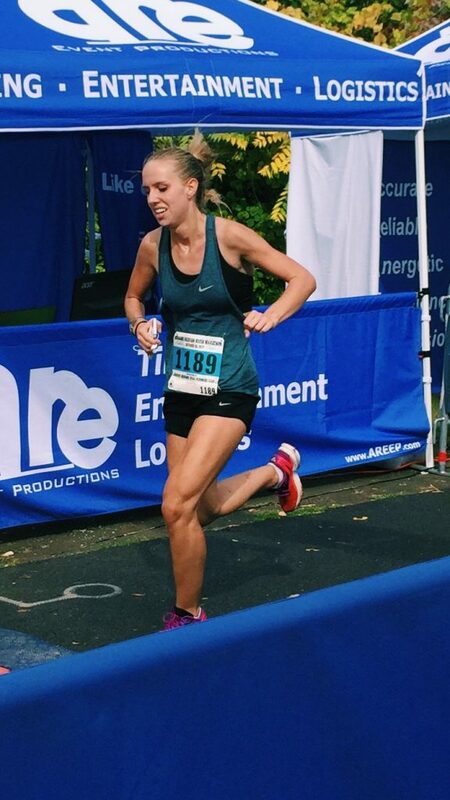 Through the challenges of balancing school, extracurriculars, and difficult winter training, Melissa Stuart, an accounting major in her junior year at the BU Questrom School of Business, has stuck with her goal of running the Boston Marathon for this reason. “I already feel like I’m on cloud nine and I haven’t even run it. I think after this I’ll feel like I can do anything. It’s like the pinnacle of marathons, one of the greatest in the world,” said Stuart. Marathon running lets Stuart push herself. “You fight with every last bit of what you have, that’s all you have in you, it takes everything out of you, so just fight for it,” said Stuart. Highly involved on campus, Stuart said marathon training has been all about balance. 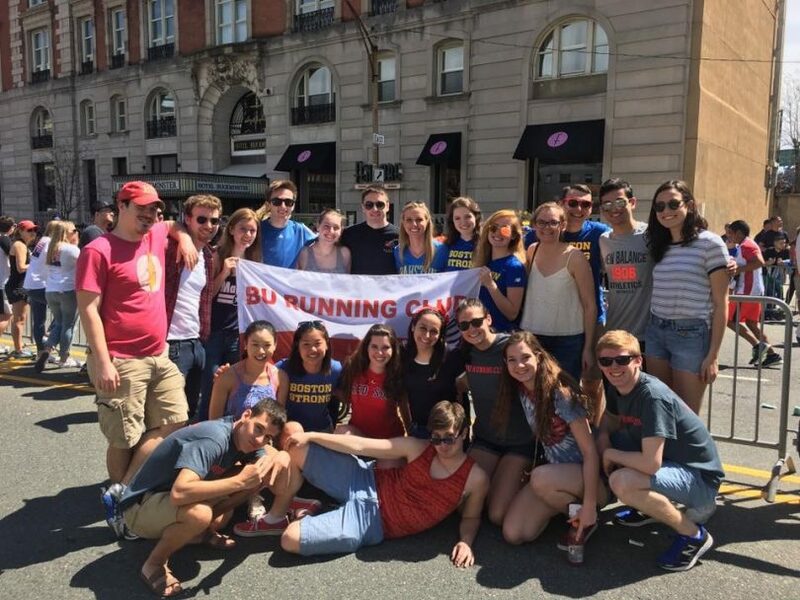 Stuart has been apart of the BU Running Club since her freshman year, serving on the Executive Board for a year, and is part of Delta Sigma Pi, a professional business fraternity. “I think when you are passionate about something and you love something so much you make the time,” said Stuart. The hardest part of school for Stuart was going through the rigorous Core program in Questrom this fall and not having time to run. But as soon as she was done with this in December she started training for the the Boston Marathon. Training through the winter, Stuart had to work around the infamous Boston below zero wind chills. Though she often had to sacrifice time with friends to train, she tried to keep school as her top priority. Family has also played a big role in Stuart’s goal. Stuart’s father has run 10 marathons, while her mother completed two. Stuart’s mother is one her biggest inspirations to get through the marathon because she worked so hard to complete two marathons despite not being a runner. “She’s always there at the finish line for me, that’s the greatest feeling knowing that this stinks when you hit the wall but knowing that mom’s at the finish line and she’s gonna be happy no matter what,” said Stuart. Stuart’s mother, Carol Stuart, said running did not come easy to Stuart. “Melissa was a quiet shy girl growing up and actually she never even liked sneakers when she was little,” said Carol Stuart. Stuart remembers the rocky start to her running career. However, Stuart stuck with running through high school, running on the track team all four years. In her junior year her coach suggested that she try distance running. That was when things clicked. By senior year of high school Stuart took on her first half marathon. “I was hooked. That was it for me,” Stuart said of the experience. Once she was accepted to BU, the Boston Marathon became an immediate goal. Jordan Thomas, 20, a mechanical engineer in his junior year at BU has been one of Stuart’s best friends since they met at BU running club. He has watched the progress of her goal throughout college. “Ever since freshman year before she had ever run a marathon she has been pretty obsessed with running this marathon. It’s one of her major life goals,” said Thomas. Thomas said Stuart had always worked hard for her goal, they met because Stuart was the only girl to run in Group A of Running Club, the group that runs farthest and fastest. “Melissa wanted to prove that she could do it and that’s gotta be one of the more impressive things,” Thomas said. Running the Boston Marathon requires a qualifying time, and Stuart’s goal of three hours and 30 minutes to get in, did not come easily. Stuart ran her first marathon, the Mohawk Hudson River Marathon, in October of her sophomore year of college and didn’t quality. This would not deter her. 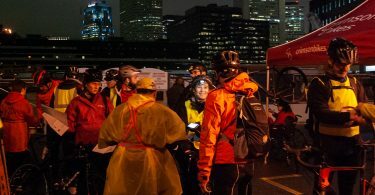 “I don’t think five minutes passed after she crossed the finish line and she said she was ready to do another marathon,” said Carol Stuart, her mother. 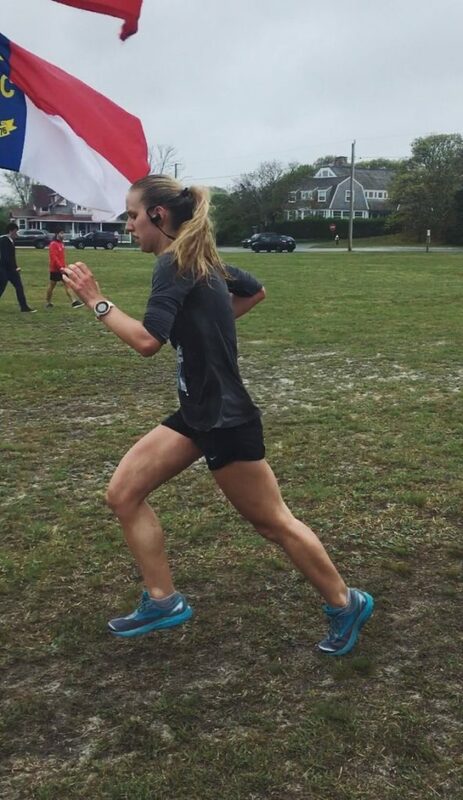 Spring of her sophomore year she ran the Martha’s Vineyard Marathon, finishing in 3:29:59, one second under her goal, qualifying her for the Boston marathon. Stuart said the most important part of her marathon experiences has been realizing what she is capable of. “Have a little faith in yourself and push yourself a little bit. You’re capable of so much more than you realize if you push yourself,” said Stuart. Race morning Stuart will eat her traditional race breakfast, toast with peanut butter and banana, and then she’ll be off to complete her biggest goal.